For twenty-eight years Mr. Miller has been representing businesses and individuals in real estate and business transactions. He seeks creative and efficient solutions and focuses on the goals and objectives of his clients. He has handled hundreds of zoning cases for landowners; yet has represented municipalities in zoning matters and drafted zoning ordinances. His career includes purchase, leasing and financing transactions from billions of dollars to a few thousand dollars. He has helped developers, investors, families, business owners and government agencies. He has resolved title disputes and represented title insurers. 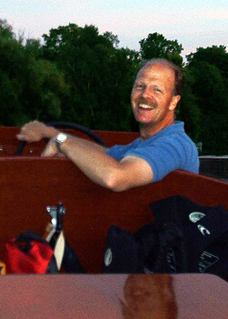 Much of his work in Leelanau County and the surrounding region involves resort and vacation residential property. 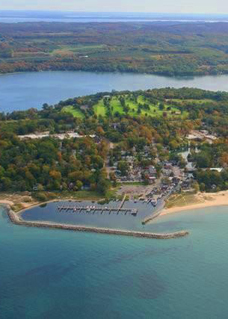 His office is conveniently located in the heart of Leelanau County, in the resort village of Leland, one block from Historic Fishtown and the Leland Harbor. Mr. Miller received a bachelor of arts from Wabash College in 1982, and a law degree from Indiana University School of Law, Indianapolis in 1985, where he met and married his wife, Lisa during their third year of law studies. Both of his degrees were received with highest honors. During law school he joined McHale, Cook & Welch, p.c. in Indianapolis, Indiana. He became a partner in the firm, chairing the real estate department and becoming part of the management team. The McHale firm merged with Bingham Summers, to become known as Bingham McHale, LLP, where Mr. Miller continued to chair the property department and serve on the management team. Mr. Miller and his family left Indianapolis for Leland, Michigan in 2002, where he lives and maintains a solo practice, concentrating on real estate and small business matters. For more information on his licenses and law heritage, check out the Licenses page. 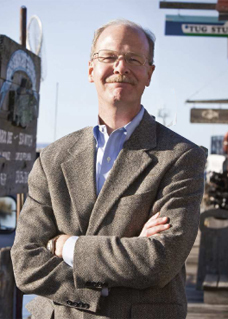 Mr. Miller also engages in real estate development in Leelanau County and the Grand Traverse area. He is the owner of North Shore Land Company, LLC, and Elm Valley Farms, LLC. He is co-owner of Miller Brothers Land Company, LLC, with his brother, Eugene C. Miller, III. For more information on these activities, go the Land Company page. Mr. Miller hosts a weekly men’s Bible study, Saturdays at 8 (am), and is an active member of his church. Mr. Miller is a supporter of St. Mary School, Lake Leelanau, where both of his daughters graduated. He is active in many community and charitable organizations in and around Leland. Find out more about the Village of Leland at its website, www.LelandMi.com. He is a member of the Grand Traverse-Leelanau-Antrim Bar Association, the Michigan State Bar Association, the Lawyers Club of Indianapolis, the Leland Country Club, Meridian Hills Country Club and the Leland Yacht Club. Mr. Miller and his wife, Lisa, live in Leland. They have two daughters. One lives in New York City and the other in San Antonio.